Tickets for the second Coates Hire Newcastle 500, the 2018 Virgin Australia Supercars Championship finale, will go on sale on Saturday at the Community Fun Day in Civic Park. Last year’s inaugural race in the Hunter Region was launched with a Community Fun Day that attracted more than 10,000 fans, with another strong crowd expected this weekend. Organisers are urging attendees to use public transport and avoid delays in getting to the event, where a local-residents discount offer on Trackside tickets for the November 23-25 race will be available. Supercars stars Shane van Gisbergen, Garth Tander, Mark Winterbottom, David Reynolds, Chaz Mostert, Will Davison, Fabian Coulthard, Simona De Silvestro and Richie Stanaway will all be present. “The Coates Hire Newcastle 500, has cemented its place as one of the most anticipated events on the sporting calendar,” Supercars Newcastle Event Manager, Kurt Sakzewski, said. “After the unprecedented success of the maiden event in 2017, with grandstands and pitlane walks all selling out in advance, we are urging local fans to beat the rush and get their tickets this Saturday at Civic Park. Sakzewski said the message to fans is public transport will be the easiest way of getting there on Saturday, while parking stations will have limited spaces available on Argyle and King Streets. “Bus services, trains and local ferries will all be able to drop fans from across Newcastle and the Hunter Region within walking proximity to Civic Park,” he said. “All of the details of how to get to Saturday’s Community Fun Day are on Supercars.com and we urge anyone planning on attending to visit the website to see which service would suit them best. Newcastle Lord Mayor Nuatali Nelmes says that with just seven months to go until the race weekend, excitement is building across the city. "The inaugural Newcastle 500 was such an outstanding success and last year's Community Fun Day really set the scene for that event, displaying how much passion and support there is for Supercars throughout the entire region," she said. "It's going to be a fantastic day for the whole family." There will be car displays, live entertainment, face painting and jumping castles for the kids at Saturday’s Community Fun Day, while drivers will meet with fans and sign autographs on the main stage from 10:15am-11:00am and then 11:30am-12:15pm. The Nobby’s Beach Surf Lifesaving Club will also be cooking a sausage sizzle and KOFM will be broadcasting live. 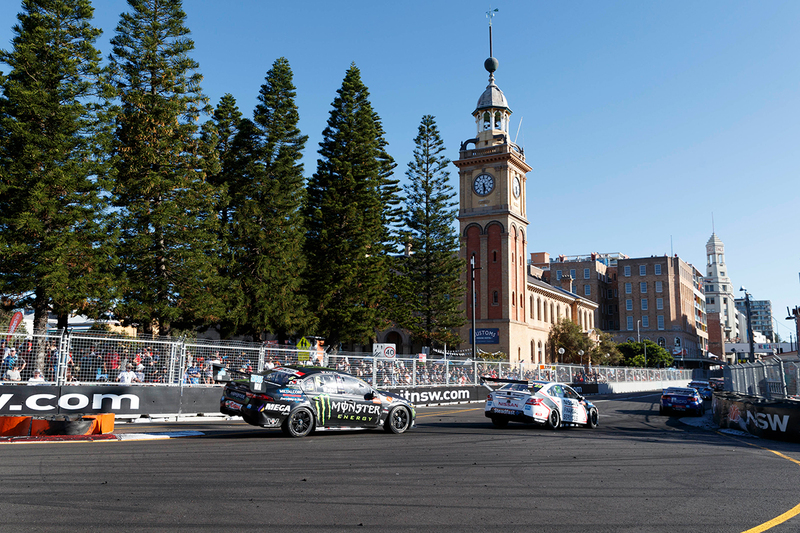 Last year’s inaugural Coates Hire Newcastle 500 brought more than 192,000 to the City’s foreshore to watch one of the most dramatic finales in Supercars history. 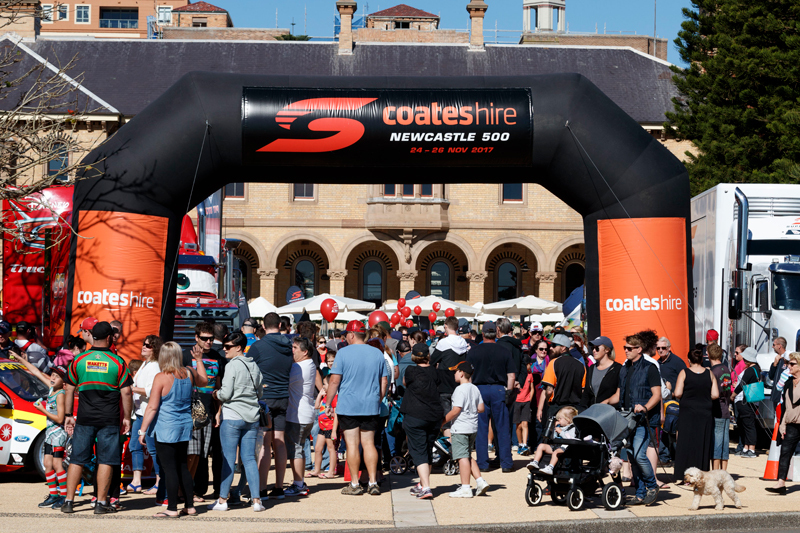 The Coates Hires Newcastle 500 was secured exclusively for Newcastle by the NSW Government via its tourism and major events agency, Destination NSW, in partnership with Supercars Australia and Newcastle City Council. For more information on Saturday’s Supercars Newcastle Community Fun Day, click here.